Kenneth Marder has been practicing law since 1980. He leads the firm's personal injury division and is a member of the Million Dollar Advocates Forum, having received recoveries of over a million dollars for a number of his clients. 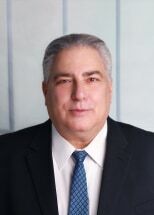 He is a member of the New York State Trial Lawyers, the New York State Bar Association, the American Association for Justice (formerly the American Trial Lawyers Association) and other groups dedicated to the pursuit of plaintiff's causes. He is a graduate of the State University of New York at Albany, 1975 and New England School of Law, 1979, and is admitted to the bar of New York, the U.S. District Court Southern District of New York and the U.S. District Court Eastern District of New York.